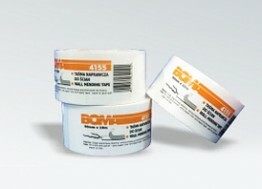 Adhesive tape covered with a synthetic-sided adhesive emulsion on a support of glass fibers. Due to its destiny popularly called the tape Antiscratch. Used to mask cracks, scratches and other places on the walls, which require delicate adjustments. 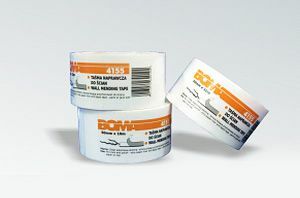 It is characterized by a very thin, white carrier with high adhesion. Blend well with the wallpaper and paint paintings. You can break it in my hands.